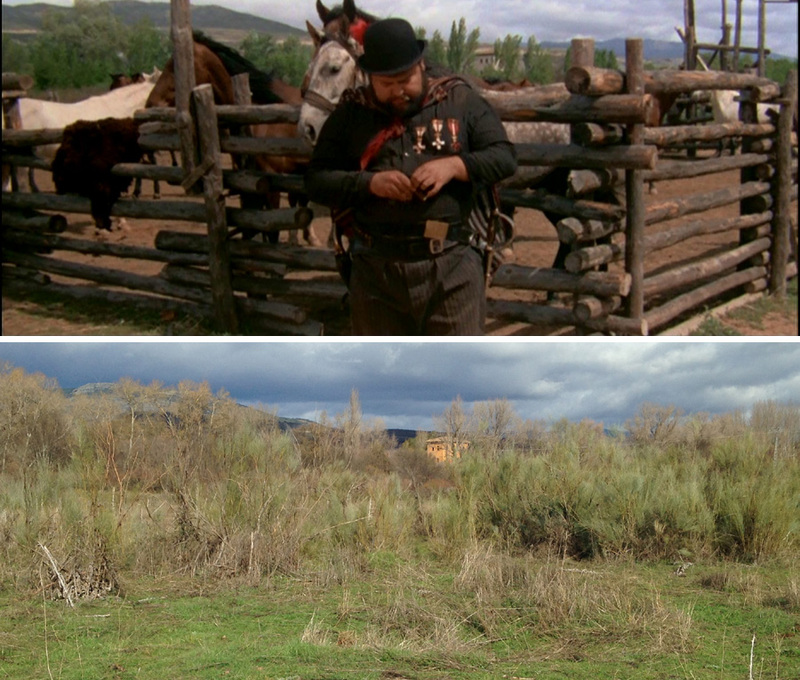 We continue to our search for filming locations for the 1966 film “Navajo Joe”. Joe induces the two women to help him lure the two men guarding the horses into the stable where he knocks them out. 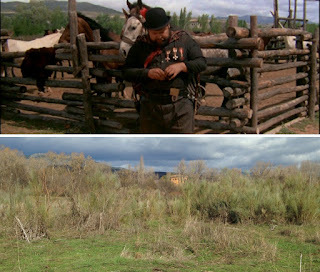 This scene was filmed at Torremocha de Jarama, Spain. Is That Lee Van Cleef?